Megan MacKenzie. Beyond the Band of Brothers: The US Military and the Myth that Women Can’t Fight. Cambridge: Cambridge University Press, 2015. Pp. 220. The Canadian Armed Forces has one of the highest proportions of female service members in the world at fifteen per cent, with a goal of increasing this to twenty-five per cent within ten years, and in 1989 it became one of the first militaries to allow women to serve in the combat arms (with the exception of the submarine service, which took until 2000). Though this is still an underrepresentation of women within the military’s ranks, and systemic problems with sexual discrimination, harassment, and violence persist, this does represent progress on the path toward equality. In the United States (US), however, the combat exclusion of women was only lifted on 24 January 2013 after decades of legal battles, political and military resistance, and significant societal opposition. 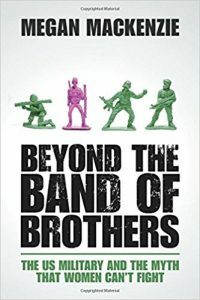 In her concise but thought-provoking book Beyond the Band of Brothers: The US Military and the Myth that Women Can’t Fight, Megan MacKenzie, a Canadian political scientist teaching at the University of Sydney, Australia, examines why the combat exclusion managed to survive so long. MacKenzie is clear in her introduction that her book is neither an evaluation of whether women should or should not fight, nor an historical account of the combat exclusion, nor a prediction of whether its removal will produce positive or negative outcomes for women in the military. 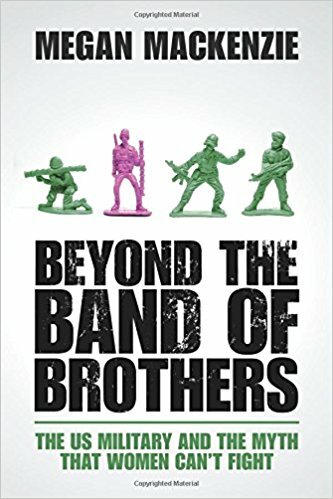 Rather, the foundational argument of her book is that the combat exclusion was always about men, not women—the military’s identity was embodied by the combat unit as a male-only domain, a “band of brothers.” She notes there are two pillars to her position: “The first is that the combat exclusion was an evolving set of rules, guidelines, and ideas primarily used to reify the all-male combat unit as elite, essential, and exceptional. The second is that the combat exclusion was not designed in response to research and evidence related to women and war, but rather was created and sustained through the use of stories, myths, and emotional arguments” (p. 3). In the six chapters that follow, MacKenzie convincingly lays out her case. Chapters One and Two provide the briefest of historical contexts for the combat exclusion from the end of the Second World War until its removal in 2013. MacKenzie contends that the combat exclusion was always a “trope, made up of a fluid set of rules and stories, not a concrete policy that has restricted women from combat” (p. 19). It evolved from how the White House, Congress, the Pentagon, the media and the public felt about women in combat, and the exclusion was maintained to protect against the weakening of the ideal of the all-male combat unit through female encroachment. As such, it was based on “emotions, images, and myths” rather than facts (pp. 29-30). Buttressing these emotional arguments were court rejections of constitutional challenges to the Military Selective Service Act. In their decisions, the courts cited the combat exclusion as a justification for not requiring women to register for the draft, and consequently “venerated military combat as essential to military identity, and elevated the combat exclusion from a fluid idea and policy to the cornerstone of an important legal precedent” (p. 37). From the Vietnam War through the first Gulf War, increasing numbers of female military personnel in expanding—even if defined as support—roles were at risk from combat, a fact that grew harder to ignore. But it took the Iraq and Afghanistan conflicts, where over 280,000 women had served by 2013, to finally expose the fiction of the combat exclusion. The nature of insurgency warfare meant there was no real distinction between front and rear, between combat and support, and women in both theatres fought and were wounded, captured, and died; received combat pay; and were awarded medals for valour. Out of necessity, woman-only combat teams were formed to conduct searches of female Iraqis and Afghans on raids. And yet the official line that these brave women were somehow not in combat was sustained by politicians, generals, and commentators who continued to define their role as somehow exceptional rather than normal, and by a Pentagon which would neither credit their service in combat toward career progression or promotion nor recognise their post-traumatic stress disorder (PTSD) as acquired through combat. The 2013 removal of the exclusion ended this surreal situation, though MacKenzie makes a good case that this had as much to do with rehabilitating the US military’s image, battered by unpopular conflicts, the Abu Ghraib prisoner abuse scandal, and reports that female military personnel were more at risk from sexual violence from their male comrades than injury from enemy action, than with advancing gender equity. In Chapter Three, MacKenzie discusses the logic typically used in opposition to women in combat, and shows how it was based on emotion and myth rather than on evidence or experience. She demonstrates its frequent link to “gut reactions, divine concerns, and threats to nature” (p. 79), and to fears that the warrior ethos would somehow be feminised and therefore weakened through the inclusion of women in combat units. A quote from former Chief of the Air Staff General Merrill McPeak illustrates this well: “I just can’t get over this feeling of old men ordering young women into combat…I have a gut-based hang up there. And it doesn’t make a lot of sense in every way” (p. 75). In the following two chapters, MacKenzie explores in-depth two oft-cited reasons for excluding women from combat and demonstrates the influence of emotion and myth on them. She first unpacks claims related to the physical standards arguments used to exclude women (despite there being no single physical standard for combat per se). She closely examines perceptions of women’s physical inferiority, unpredictability due to menstruation and pregnancy/motherhood, and susceptibility to PTSD. She questions whether physical standards that have been developed for men’s bodies, even where some women can meet those standards, actually relate well to combat-related tasks. For example, women often score better than men on physical tests related to other factors like endurance, surely a useful attribute in combat. But since dual standards are perceived as double standards, women are generally expected to simply meet the standards meant for men to qualify. MacKenzie then tackles the idea that the presence of women undermines the trust formed by male bonding that is necessary to maintain the unit cohesion thought essential for combat. MacKenzie illustrates that combat cohesion is hard to define and measure, but the point may be moot: “The truth is maybe women will change or undermine particular aspects of masculine culture within the military. However, there is no reason to treat this as a negative outcome, and there is no evidence that such a cultural shift would decrease the effectiveness of troops” (p. 154). Studies suggest that leadership, training, and task cohesion have much more to do with combat effectiveness than social cohesion. Chapter Six is a bit of a diversion from the flow of the book, but it is certainly one of the more interesting chapters. Recognising that today much public discourse is carried on outside the spheres of debate usually focused on by academics, MacKenzie constructs a methodology to examine public opinion by analysing the content of online comments left in response to three articles about the combat exclusion. 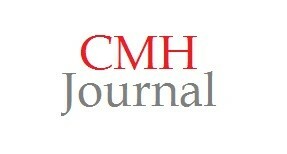 Not surprisingly, the articles elicited strong responses and the content was difficult to categorise, but in the end MacKenzie’s analysis reveals that the comments mirror the arguments in favour of the combat exclusion outlined in her previous chapters and reaffirm the opinion that “war is treated as a realm ‘beyond’ the reach of equal rights” for many of the online commenters (p. 193). Over the last several decades the feminist perspective has been brought to bear on the formerly gender-blind discipline of international relations, and MacKenzie’s work falls within that critical perspective which challenges mainstream views of the role of gender in war and the military (and, as such, it is definitely intended for an academic audience). But if I have a critique of the book, it is that MacKenzie does not go far enough in meeting her broad objective “to contribute to debates about the motivations and justifications for wars[. ]… [T]he logic of war depends on the preservation of gendered stories and myths about ‘real’ men, ‘good’ women, and ‘normal’ social order” (pp. 3-4). She never really delivers on her promise to link the “band of brothers” myth—“the romantic tale of men uniting to promote freedom, defend their nation, protect the weak, and enhance national security” (p. 194)—to either the militarisation of American society or the establishment of war as “natural, honorable, and essential for social progress” (p. 4). Given MacKenzie’s worthwhile contribution to the conflict studies literature with this book, hopefully her future research and writing will delve deeper into the “militarized-masculinity complex” (p. 4). National Defence, Government of Canada, “Women in the Canadian Armed Forces: Backgrounder,” 7 March 2017, http://www.forces.gc.ca/en/news/article.page?doc=women-in-the-canadian-armed-forces/izkjqzeu (accessed 1 July 2017). MacKenzie also notes that, by 2013, 152 female US military personnel had died in Iraq and Afghanistan (p.45). See Megan MacKenzie, “Overdue: Why It’s Time To End the U.S. Military’s Female Combat Ban,” The Daily Beast, 26 October 2012, http://www.thedailybeast.com/overdue-why-its-time-to-end-the-us-militarys-female-combat-ban, which itself is a condensed version of MacKenzie’s “Let Women Fight: Ending the US Military’s Female Combat Ban,” Foreign Affairs 91, no. 6 (November/December 2012): 1-6; David Frum, “The Truth About Women In Combat,” The Daily Beast, 1 March 2013, http://www.thedailybeast.com/the-truth-about-women-in-combat; and Gayle Tzemach Lemmon, “End of Combat Ban Means Women Finally Fully Integrated Into Military,” The Daily Beast, 24 January 2013, http://www.thedailybeast.com/end-of-combat-ban-means-women-finally-fully-integrated-into-military. Prominent feminist international relations specialists working in this field include Jean Bethke Elshtain, Cynthia Enloe, and Christine Sylvester. 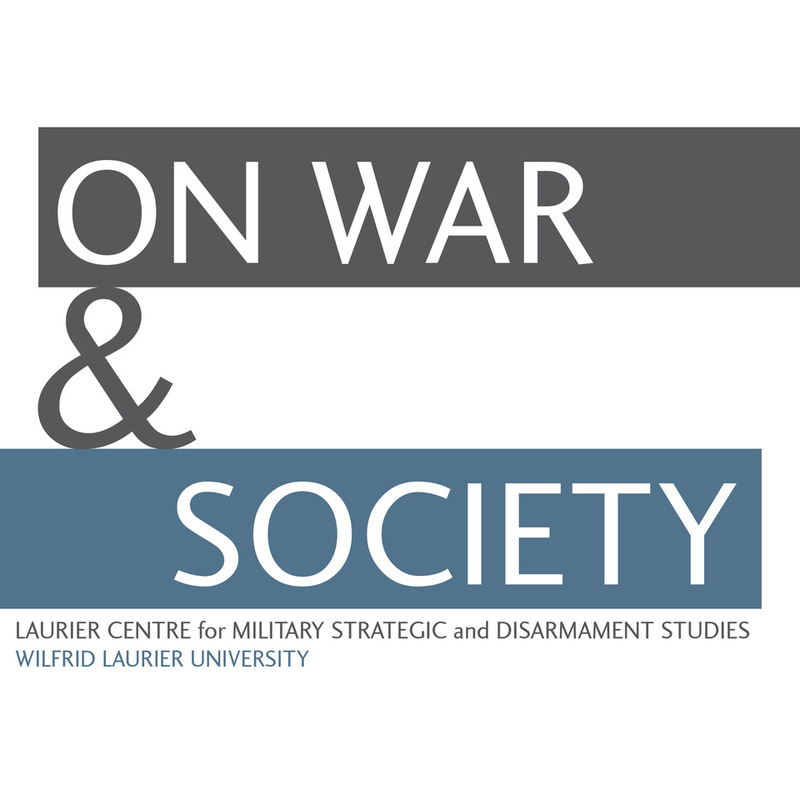 A good starting point for those interested in gender and war would be the recent works of Laura Sjoberg, particularly Gender, War, and Conflict (Cambridge: Polity Press, 2014).